The vigilance network covers over 200 km. radius of Surat city. About 104 CCTV cameras are installed at 26 strategic places. The Chief Minister went to the command and control centre of the project at the police commissioner’s office and sought information on various aspects of the project. 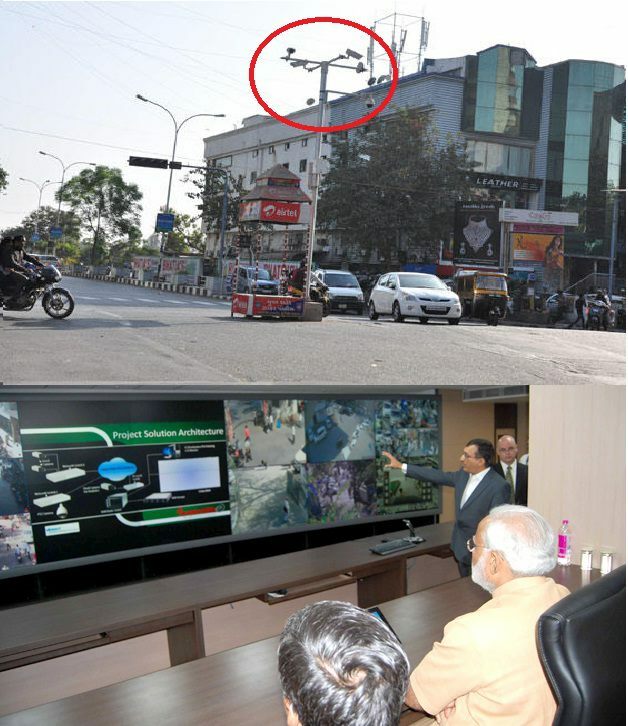 He said the CCTV cameras will prove to be a ‘third eye’ of Surat police. The project, a brainchild of Commission of Police Rakesh Asthaana, has been implemented in association with textile and diamond traders, software companies, builders and Traffic Education Trust, among others. Under the project, which is being implemented in three phases, a total of 5,000 CCTV cameras will be installed at 500 locations, including entry and exits points of Surat city, important traffic junctions and other sensitive areas. Surat Police Commissioner Rakesh Asthana said the Chief Minister was the motivational force behind this project. “The Surat city is prepared to meet any challenge”, he said. great post ... the hi-end security and closed-circuit television (CCTV) cameras make protecting your investment simple and easy.